Located off Shore Road and Emmons roads in Bourne. 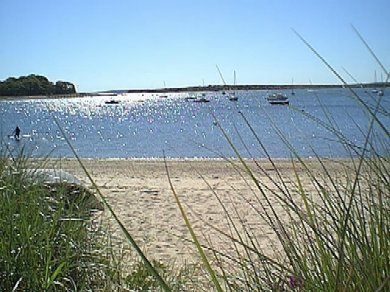 This harbor beach is quite large and looks out onto the entrance of the Cape Cod Canal. The calm waters and plentiful amenities, such as a snack bar, volleyball nets, and a dock in the water makes it a very family friendly beach. Water's Edge: Beachfront home w/AC in great location!